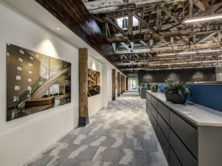 This project consists of a 20,000sf renovation of two relocated aircraft hangers along a major corridor in the historic South End District of Charlotte, NC. 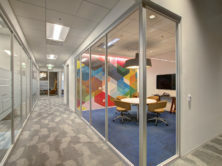 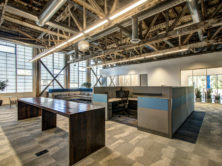 The layout of the new building includes large open work areas that utilize natural light through curtain wall and Kal-Wal systems. 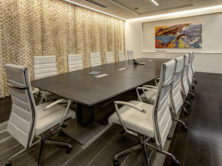 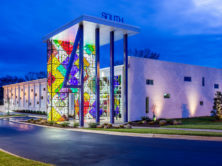 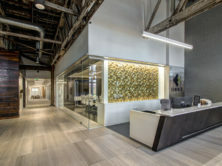 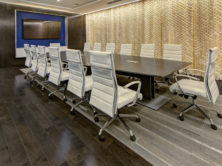 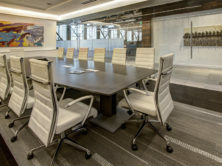 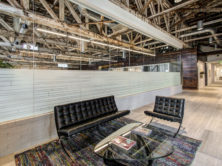 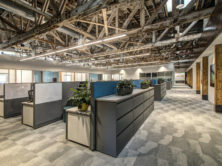 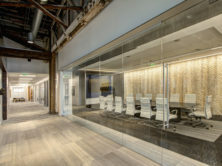 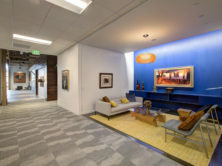 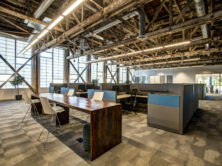 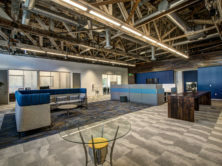 The exposed trusses and roof decking are illuminated and finishes include high-end glass, ceramic tile, reclaimed wood, exposed concrete floors and specialty carpets to create a clean “New Age” office space.